This statement is just not true (maybe that will help to explain why no one seems to be covering it). 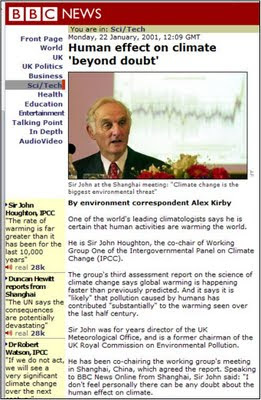 Consider the image below of a BBC news story which covered a 2001 press conference on the occasion of finalizing the IPCC Third Assessment Report. The man in the photo is John Houghton, head of the IPCC at that time. Look carefully in the background, that is the "hockey stick" graph up on a screen at the press conference. Well, this is perhaps circumstantial evidence. 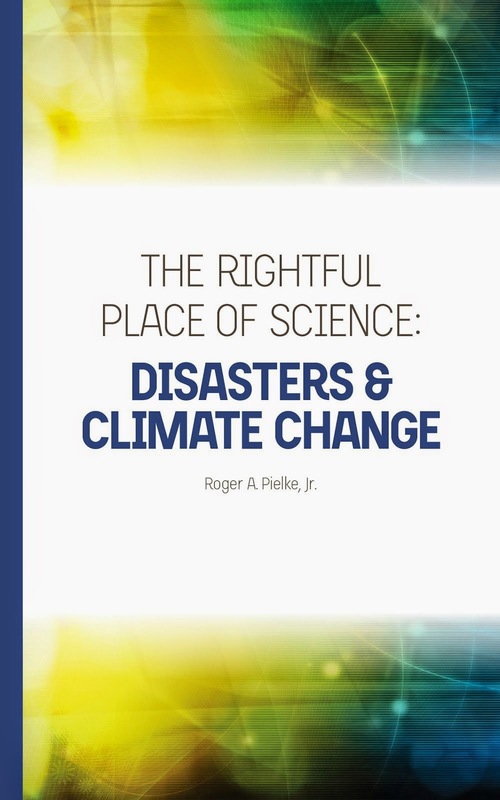 What did the IPCC actually say in its report? There is a longer and more closely scrutinised temperature record and new model estimates of variability. The warming over the past 100 years is very unlikely to be due to internal variability alone, as estimated by current models. Reconstructions of climate data for the past 1,000 years (Figure 1b) also indicate that this warming was unusual and is unlikely to be entirely natural in origin. What was Figure 1b? Why, the "Hockey Stick"! If climate scientists want to regain lost credibility, and indeed not see it diminish further, they are going to have to stop playing the rest of us for fools. One way to do that is avoid saying things that are not true.